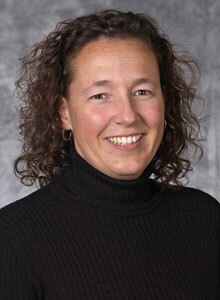 Dr. Rachael Flynn-Hopper has experience in education at the elementary, middle, and university levels. She joined the Belmont faculty in 2003 and teaches courses in literacy. Prior to coming to Belmont University, Dr. Flynn - Hopper taught in Williamson County Schools in Williamson County, Tennessee, Tupelo Public Schools in Tupelo, Mississippi, and as an instructor at The University of Southern Mississippi. During these years, she conducted workshops and research in the field of literacy. Dr. Flynn-Hopper holds Bachelor's and Master's degrees in Elementary Education from Mississippi State University. In 2003, she completed her Doctorate in Curriculum and Instruction: Reading at The University of Southern Mississippi. She currently serves as faculty advisor for Student Tennessee Education Association at Belmont University. Dr. Flynn-Hopper's area of emphasis is in literacy education. She is particularly interested in using children's literature across the curriculum to promote life-long learning, the impact of children's literature on the socialization of young readers, and methods for improving reading comprehension. Dr. Flynn-Hopper is also interested in promoting literacy within the community through ties with the university and its students. Her personal interests include family, reading, travel, and sports of all kinds.